What’s the best gift you’ve received as a teacher? Whenever I receive a gift from one of my students, I cherish it. I love how a simple gift can hold so many wonderful memories, but I’d have to say that there’s one gift, in particular, I favor above ALL others. That’s right, it’s FREE lesson plans! Weekly lesson plans take a lot of work to put together, and it can be challenging to find the time, especially when you’ve got a lot going on at once. So, I thought I’d make things a little easier for all the teachers out there and gift you all with some free lesson plans! 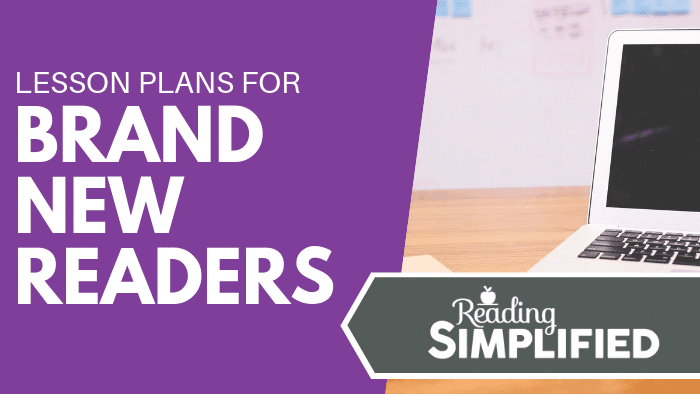 This will be the first lesson plan of a 3-part series tailored for brand-new readers. And by brand-new readers, I mean kids who’ve never read a single word in their young lives. They might have had a few stories read to them, but they’ve never tried it for themselves. It’s these kiddos that are going to benefit from this first week of the series. However, these lesson plans are not your everyday, run of the mill lesson plans. They’re so much more than that! They also contain a collection of activities that can be used for one-on-one or small group guided reading instruction week after week and with kids of varying reading levels. 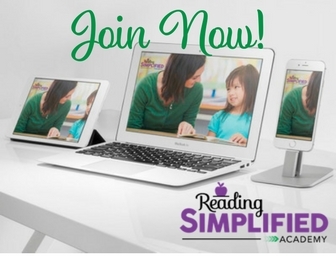 If you’ve been a part of the Reading Simplified community for a while now and you keep up with our ​Facebook Live Videos, you’ll know that I run a side tutoring business. I recently used the same lesson plan for two of my students. The first kiddo was a kindergarten student who had a few issues and really couldn’t grasp what his school teachers were trying to teach him. So, his parents looked for additional help outside of school, and that’s where I came in! When I first started working with this little guy in November, he only knew seven letter sounds and couldn’t segment any CVC words. Sounds like quite the challenge, huh? I tutored him using the same 3-step lesson plans for multiple reading levels that I’m going to share with you throughout this new series, and it wasn’t long before this kindergarten student was reading like a fourth grader! By the time June came around, he was reading like a fourth grader in the third month with nonsense words. His sound-based decoding skills were improving nicely, and his word identification and spelling skills shot up to second-grade level too. Impressive! The best thing about these lesson plans is the fact that they can be applied to multiple reading levels and ages. The 15-year-old in this case study was recently diagnosed with dyslexia and when I first met him, he was reading like a first grader in the 8th month, scored just 37% for word identification and had a low average reading rate. 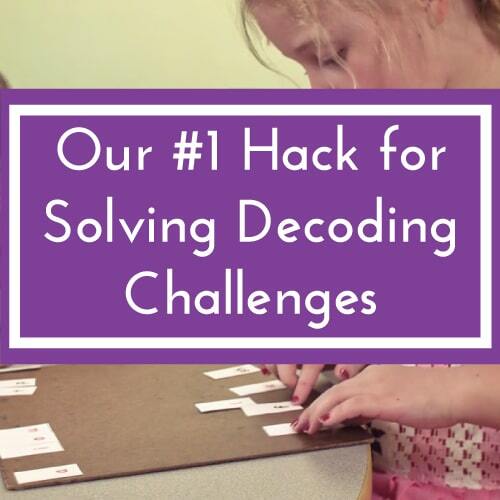 • 10.0 Non-Word Decoding – a massive jump from before! • 140 words/min – almost at grade level! As you can see, this 3-part structure works for many different situations. 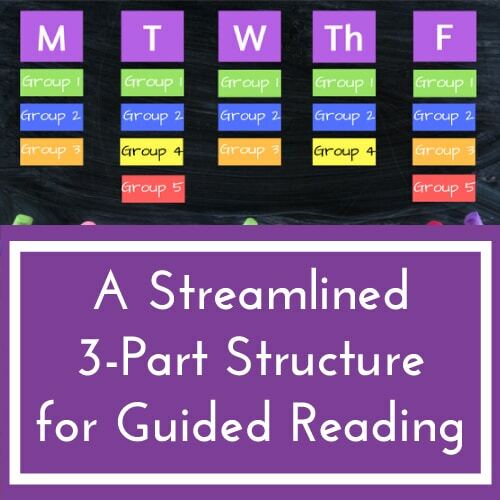 Throughout the first week of this 3-part lesson plan, you’re going to focus on three core activities in a 3-step process. Word Work activities are great for helping brand-new readers learn letter names, letter sounds and get to grips with the basics of sound-based decoding. 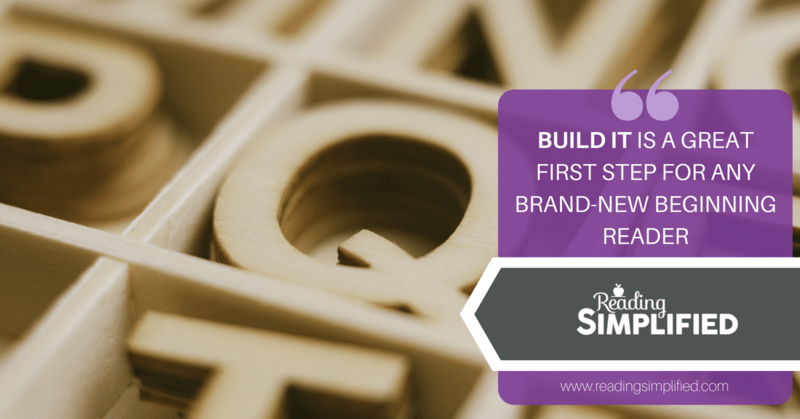 Build It is an excellent first step for any brand-new beginning reader. This activity gets kids moving towards the code - learning the letter-sounds, phonemic awareness, decoding and spelling. In the first week, you’ll begin with simple words such as sat and rat. Focus on words with continuant consonants because the absence of a sudden stop makes it much easier for students to pull apart the sounds and letters because the sounds are so easily exaggerated. 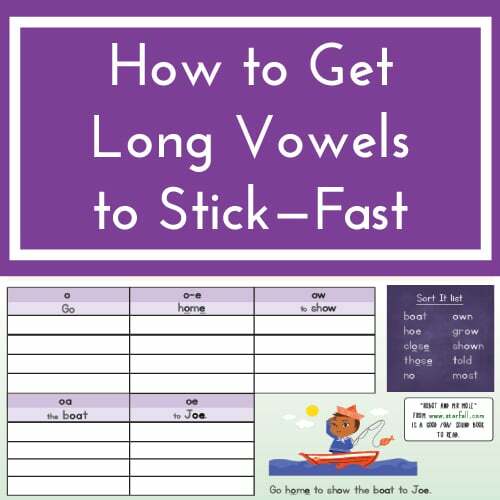 As you progress through the week, slowly add more short vowels and consonants to increase difficulty and get kids moving along gradually. Top Tip! 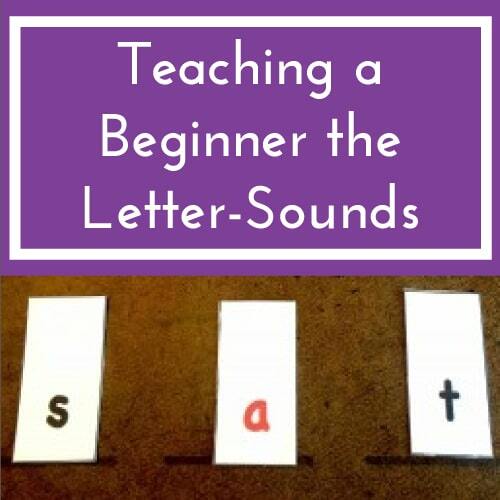 Use a small collection of letter sounds in the beginning so that the kids can learn the letter sounds and see how sounds and symbols align – that’s the power of build it! Beginners often have problems blending sounds but Build It breaks words apart and makes the blending process so much easier for youngsters to understand. Both Build It and Read It work together to improve Phonemic Processing. 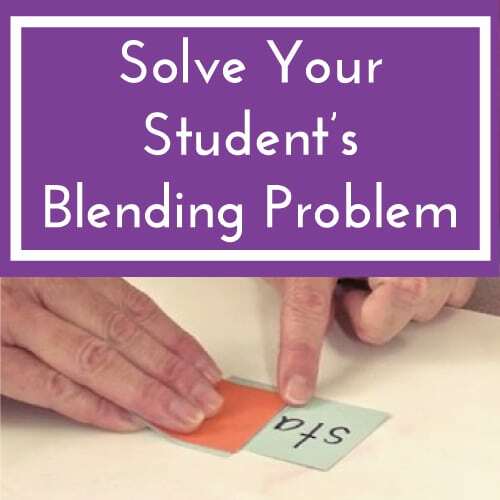 Read It uses the Blend as you Read strategy, which is something we talk about a lot here at Reading Simplified and you can learn more about this strategy here. In addition to improving phonemic processing skills, Read It works on blending and reinforces letter-sound knowledge. The Write It process helps to segment sounds again and helps to teach kids the relationship between writing and reading. At the start of the week, it’s best to start with fairly simple three sound words first and then continue to add more letter sounds each day. Did you know? Kid’s tend to soak up the Read It activity much faster when you connect sound and symbols in the context of real words! If you’re teaching a beginner student (or a classroom of beginners), it’s likely that they’ve come into the classroom with minimal reading experience. If they can’t read anything, it’s okay to model it for them with some Buddy Reading and do most of the work. Then, you can ask them to read one word to start with and gradually increase the workload as their reading skills develop. Re-reading is also really important for beginners. Once they’ve finished reading the text once, ask them to summarise what they’ve just read. Then, you can read it back to them again while they follow along keeping their eyes on print as much as possible. You could take it a step further and ask the kids to re-read the text again on the computer screen and also re-read it the following day. By then, they should be getting really good! Top Tip! I recommend using starfall.com to access tons of reading materials that you can download and print for FREE. If you’d like to see what books I recommend for the first week of lesson plans, click here ​and scroll down to the Short Vowel section!